After 20 years at the helm of top restaurants including The Grill by Sean Connolly, Botswana Butchery and Harbourside, award-winning chef Stuart Rogan has branched out on his own, opening his first restaurant along the Viaduct Harbour. 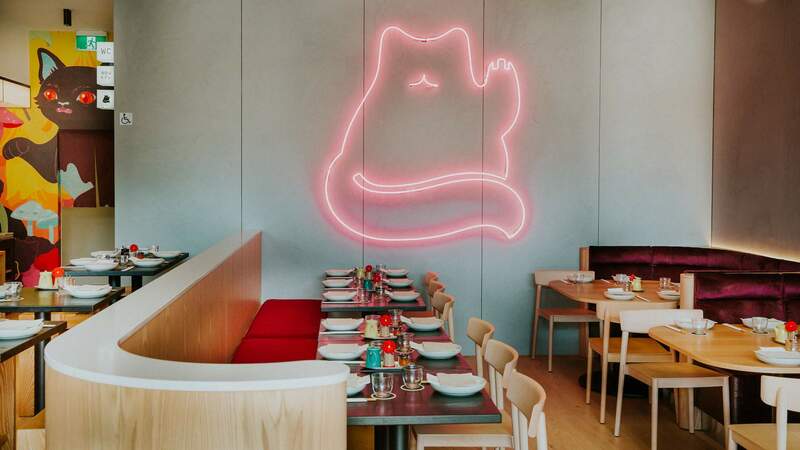 While Hello Beasty is tipped as "contemporary New Zealand fusion cuisine," the restaurant takes inspiration from the cuisines of Japan, Korea and China. It's a vision that Stuart and his wife and business partner Emma have spent several years honing, exploring the countries and cuisines that fascinate them both. The pair say the modern eatery "takes their favourite Asian influences and infuses them with new and old flavours and techniques, and New Zealand's best produce." Emma was responsible for the restaurant's creative vision, branding and design throughout the restaurant. A large open kitchen spans the length of the restaurant and diners are encouraged to sit at the pass to watch the action unfold. Booths and an open-air courtyard overlook Market Square and maximise the harbour views. Emma says the result is "cheeky, fast-paced and fun." Together with head chef Giann Ordonio, Stuart has created a menu designed for sharing. He says there's lots to explore with the menu, from shucked oysters served with fresh wasabi, to spicy sticky beef buns, tteokbokki rice cakes, and their take on KFC (Korean fried cauliflower). There are larger dishes like the slow-cooked lamb shoulder in spicy Sichuan curry, barbecued eggplant, pan-fried John Dory with seaweed butter, as well as options from the Hibachi grill — apparently the char siu double pork cutlet is a must try. Manager Katie Woodhead runs front of house and oversees a beverage list which features fusion cocktails, Japanese and local craft beer, and a wine list that features a natural, biodiverse and organic wine selection.